The Future is now, as is the Furniture. The office furniture that you choose for your next conference room, boardroom or co-collaboration table is going to need to accommodate technology infrastructure. 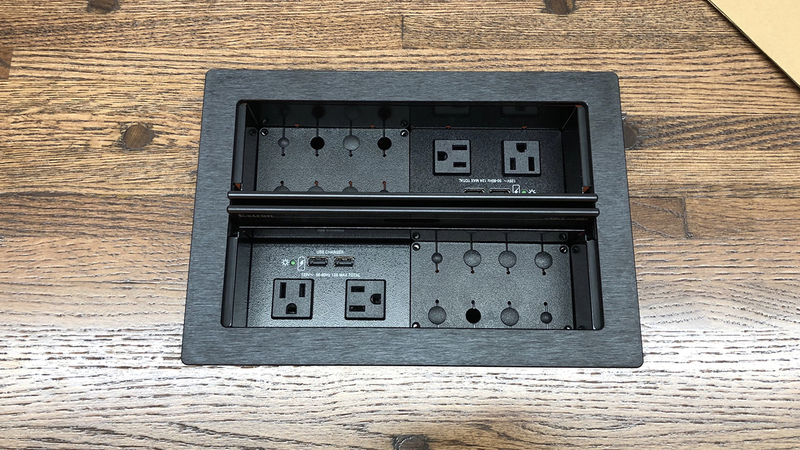 The Spye Team is always looking to deliver the best service and installation possible, but sometimes the furniture comes up short in helping to facilitate a neat and orderly experience. Here are a few things we at Spye like to consider. Planning: In order to harness the many moving parts in both small and large office upgrades, Spye always recommends a good architect to help organize all the trades for an accurate and efficient remodel or build out. Our job at Spye is to work closely with your business technology group to design a system that works for your business model. And in order for this to happen, we need to plan for all the construction procedures necessary to occur for a smooth install. We’ll work with the planning group and supply them with clear and concise drawings so the trades can install power, conduit, and data to all the required locations. 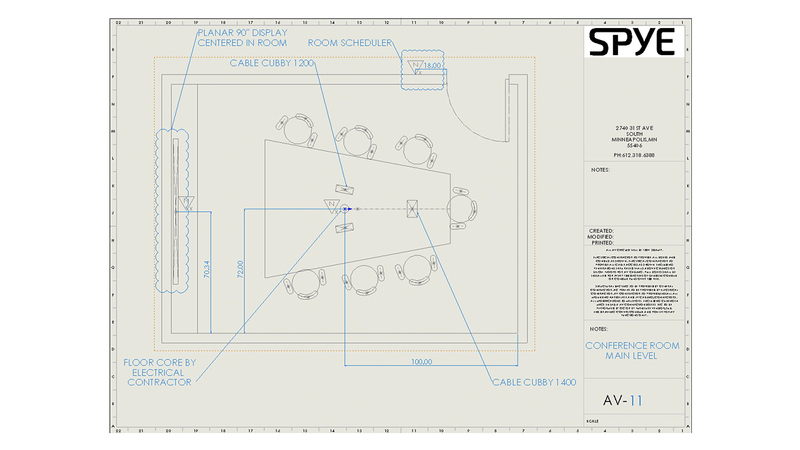 The architect will have a specific layer or plan in their drawing set that is devoted to furniture and how it relates to the surrounding light, cabinetry, displays and other important features that make the room organized. 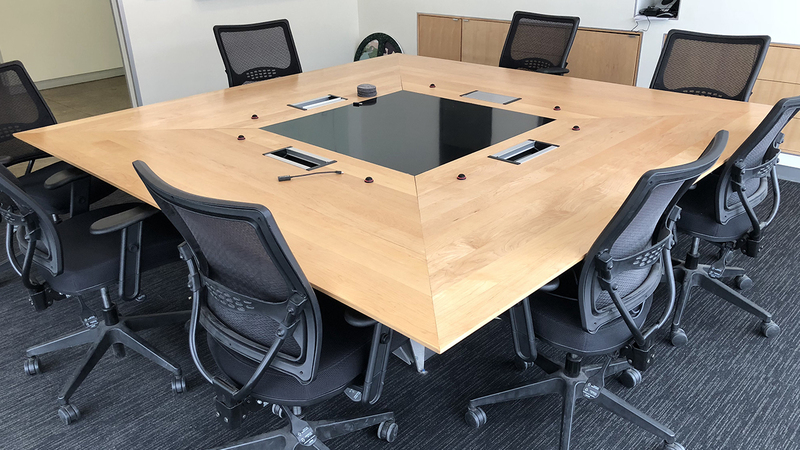 After all, who wants to see a conference room table not perfectly aligned with a room display or teleconferencing camera? 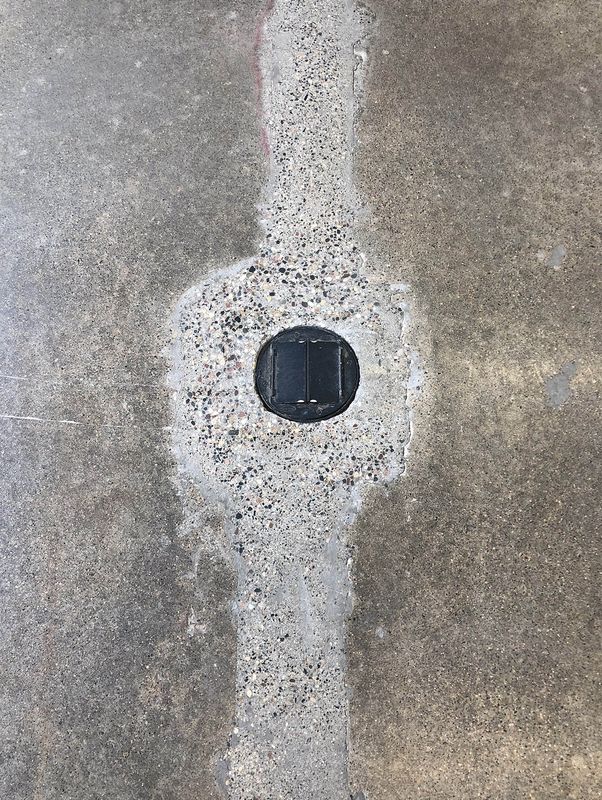 Floor Core: This is a hole in the floor where the table will be placed in an office space. This hole is where power and data are brought to the table, unseen by the end user. This is the best way to physically plug in a laptop or other device to a wall-hanging display. Here are some examples of floor cores, trenches, and floor race-ways that all house cables and power. 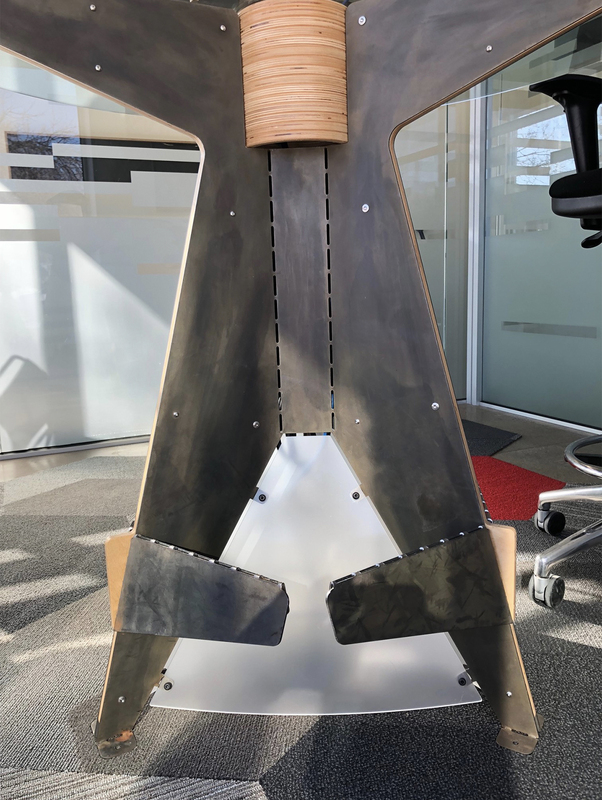 These are integral to proper office design and your architect will plan for these to be aligned in the space to time-out with furniture and display. 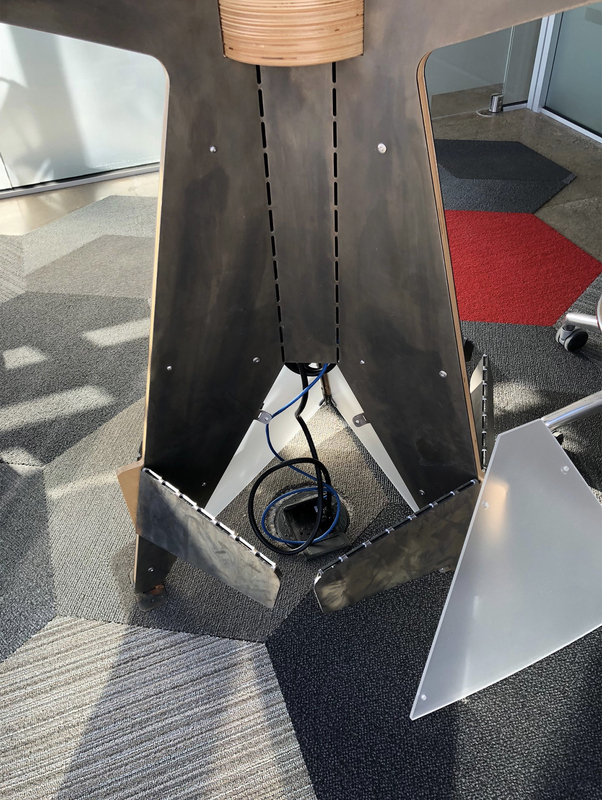 Cable Cubby: This is a housing that fits into a cutout in the conference table. 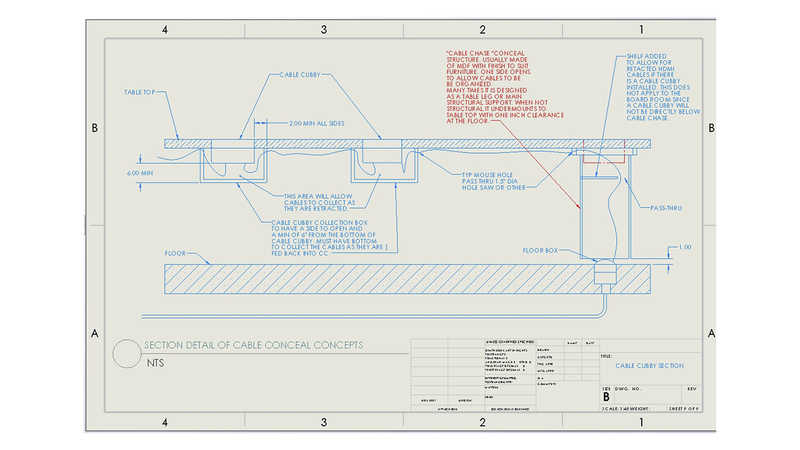 It is the interface between the user and cables that flow from the floor core. This housing may have special devices installed including keypads for more control over room environments like lighting. Its main purpose is to keep your devices charged with power and to connect user computers to the display or teleconference system. 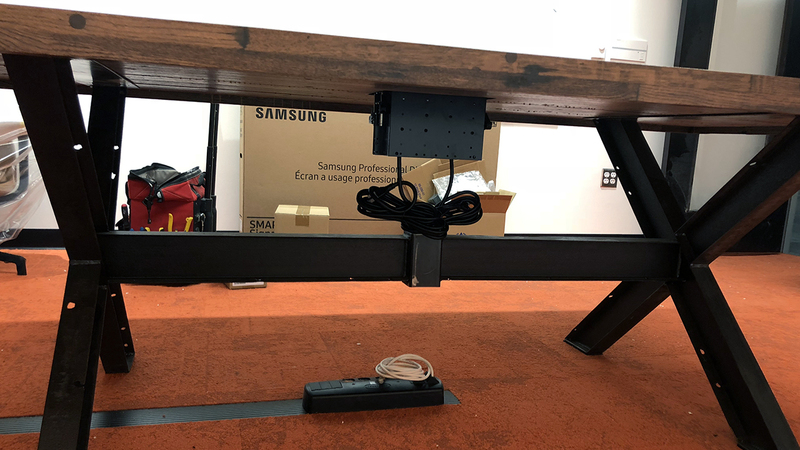 Some furniture vendors want to sell a cable cubby with their furniture offering, the problem with this solution is that often does not integrate well with the design of the system that is being proposed. In some cases, we will cut the hole for you. Most furniture vendors will cut the holes to suit our hardware specifications. Spye prefers Extron products, which integrate well with the other key components that make your system run smoothly. Here are some examples of them installed. 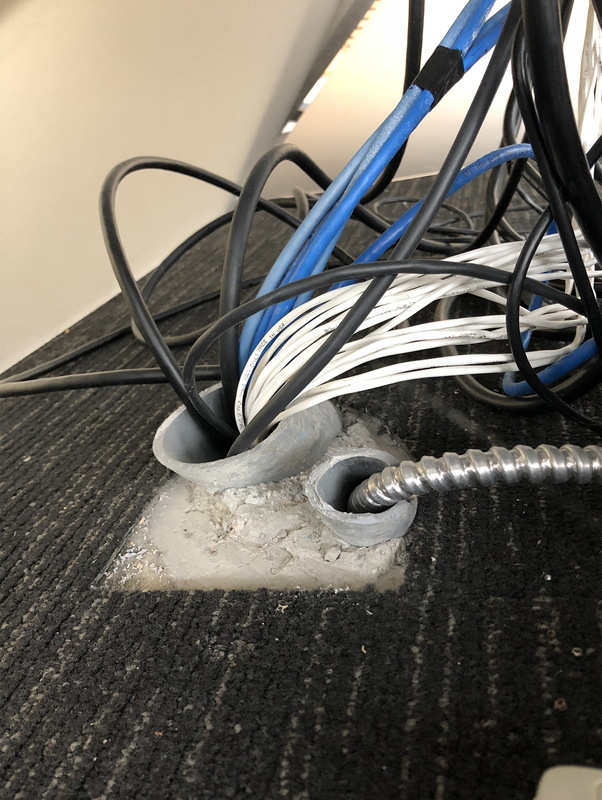 Table Shroud: This is a covering device that sits under the table to hide the cables traveling from the floor core to the cable cubby. It also allows for other electronic devices to be stored out of view. 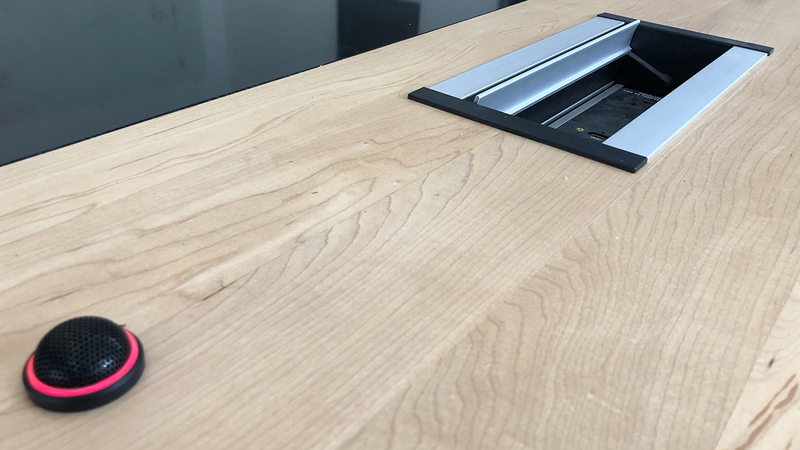 These are becoming much more prevalent in the commercial furniture industry as the concept of a neat and orderly looking conference room table that can hide all the clutter yet be serviced quickly by removing a simple access panel gains more traction. Spye is dedicated to working through these important details at all levels of a project. 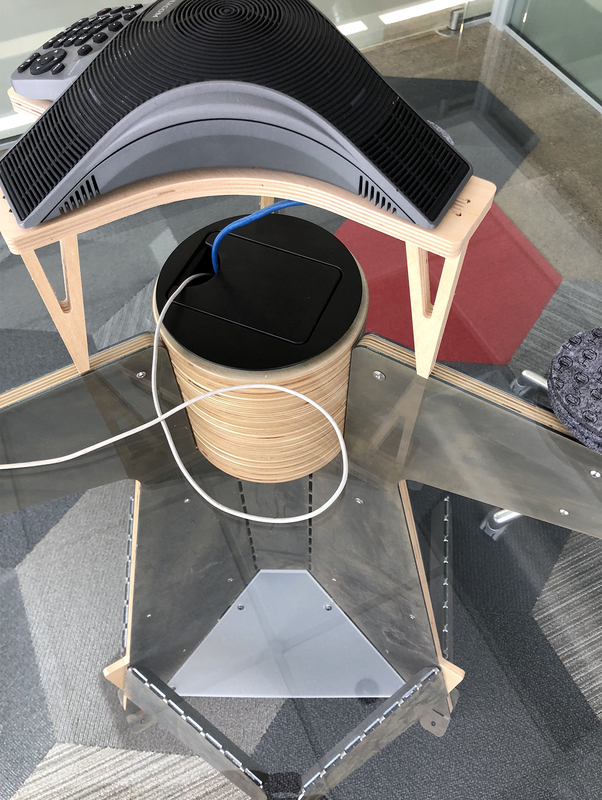 This is just one of the small scenarios that play out on a construction project that has a relationship to furniture and proper AV Integration.